Eco Power Systems provides field-to-truck farm machinery that revolutionizes harvesting. Based on designs by John Berry, the EcoAgHarvester and EcoAgLoader operate in all weather conditions. 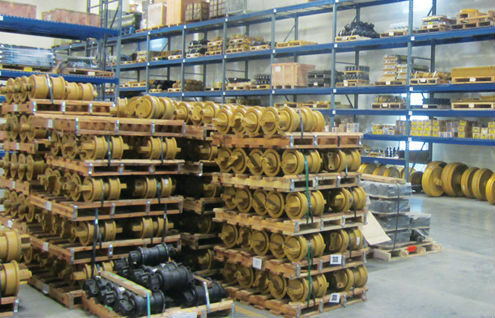 In addition, the Farm Machinery Parts department can provide significant savings for Caterpillar parts. 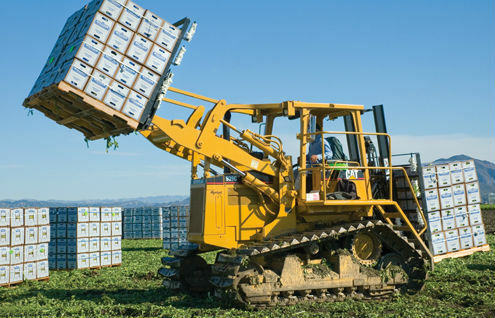 The all-weather, all-season EcoAgHarvester delivers cleaner produce with less waste and with faster delivery. Cleaner, healthier celery is guaranteed by food-quality stainless steel contact surfaces and an improved loading system; boxes and pallets never touch the ground. Hydraulics and conveyer belts eliminate most lifting, which reduces worker injuries and allows more women to join the crew. Recently modified, the EcoAgHarvester can be modified to fit your needs. 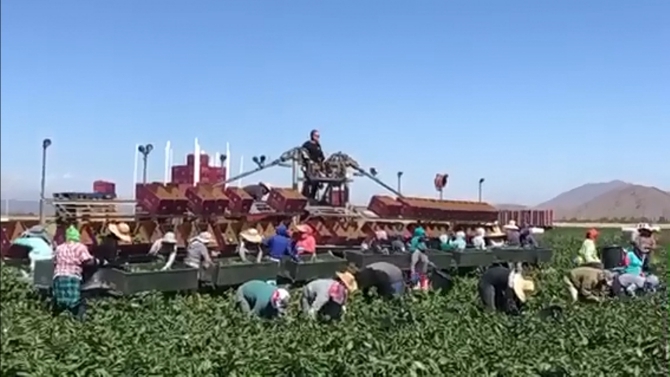 See here for a recent modification made to harvest Bell Peppers. Modified from a Caterpillar 939C, the EcoAgLoader takes advantage of both ends to carry six tons - four pallets - from field to truck. It works in all weather and ground conditions, saving time and labor and leaving the ground in good condition for the next crop. The EcoAgLoader can load an entire trailer or truck from the same side, and, as the ideal EcoAgHarvester companion, it helps ensure clean pallets to guarantee the highest food safety standards. EcoPowerSystems has produced 75 in the last 20 years. The Farm Machinery Parts division sells Caterpillar and farm machinery parts. Our informed sourcing can provide significant savings on after-market and original equipment. We don't just source dependable parts for less � we modify and fabricate components to meet your agri-machinery problems. We specialize in Undercarriage, Transmission and Final Drive, Engine Parts, and Hydraulic Pumps. 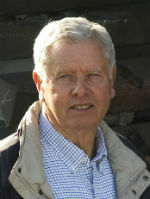 Born and raised in crop-rich Oxnard, California, John Berry has three decades experience serving farmers, harvesters, and packers. After 15 years selling agricultural machinery, he formed EcoPowerSystems,LLC to develop improved farm machinery: the EcoAgLoader and the new EcoAgHarvester. He applies innovative design and cutting edge-fabrication technology to solve in-the-field challenges.